Should You Really Wait For Three Months Before Getting Into A New Relationship? "Bash, hindi mo ba alam yung three-month rule? Lahat ng nagmahal at nakipag-break alam 'yun. Maghihintay ka muna ng tatlong buwan bago ka magka-boyfriend ulit!" This is perhaps one of the most remarkable lines dropped by actor John Lloyd Cruz in the movie One More Chance. But do you really, really need to wait for 90 days to pass by before getting into a new relationship? According to Dr. Eppy Gochangco, clinical psychologist, there is no such thing as the three-month rule in the psychology world. "Searching through the internet, it seems this rule has something to do with media," says Dr. Gochangco. He says people heal at different paces and there's no scientific basis to back up this relationship rule. When people move on, they just do and it doesn't matter whether it's been a week, months or years. A new love may come soon—some later for others. "Some get well in a shorter time, others may take a while before they heal from a broken relationship. People also cope differently. Some people need to be with someone to heal, while others stay away to heal faster," he explains. "No one has the right to stop anyone from getting a partner if that is the only way the person can survive in this world." To get a better perspective on the matter at hand, we talked to random people to get their views. They all agreed with the relationship expert. Pau, 25, dated the same woman for 12 years. However, they separated two years ago after finding out his now-ex-girlfriend cheated. He says: "I thought it would be really hard for me to move on considering that I've spent almost half of my life with that woman. I was wrong." It was only a month before he found a new love. "Noong dumating siya sa buhay ko, there was never a dull moment. We always went on dates. Malaki naitulong ng bago kong girlfriend and it helped me feel better faster." Karen Mae, 27, says she would never abide by some unwritten rules. When to date again, she says, is up to the person. "They have the final decision. Also, it's such a specific rule. Why three months? Parang yung rule sa pagkain na wala pang five seconds eh. Kailangan ba muna natin mag-disinfect bago makipag-date uli? I don't think so.” She continues: "Pero I get people who follow the three-month rule. I guess they're worried na baka sabihin rebound lang. But in the end, nasa sa'yo naman yun." Meanwhile, Joseph, 32, lives by a different dating rule: "If I were the one who broke it off, it's only fitting that I wait some time, only to be fair. But if I was the one whose heart was broken, man, there's no such thing." 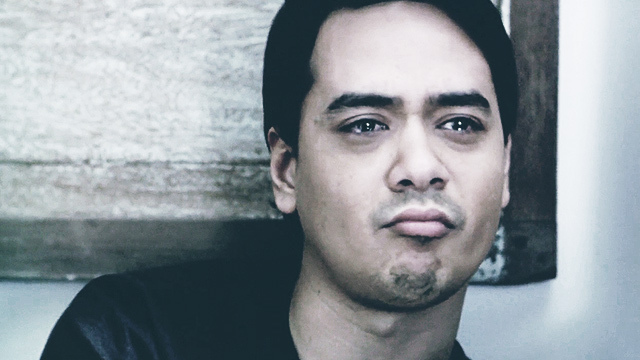 Now you're probably wondering where the hell did Popoy get the idea for the three-month rule? Carmi Raymundo, one of the writers of One More Chance, shared that it was inspired by a person she got to talk to in the course of writing the film. "Wala talagang ganung rule! Ginawa lang namin ni Van (co-writer Vanessa Valdez) inspired by the sentiment of one of our interviewees na ang bilis naka-move on nung girlfriend niya, wala pa raw three months," Raymundo told Philipiine Star in an interview. Now you've been enlightened. Don't wait for three months before seeing a new girl just because Popoy said so. In the words of FHM's own Popoy, Dr. Gochangco: "Why deprive one's self a partner if a new partner can actually relieve you of a painful experience?"